A few years ago I was introduced to Snapfish via a blogger event and since then I’ve used them to make our family calendar. I really love making a personalised calendar with our own pictures – one year I did a whole Harry Potter-themed calendar with Snapfish using photos we had taken from our trip to the Harry Potter Studio Tour. So when I spotted they were looking for bloggers to try out their personalised stocking stuffers gifts, I thought it might be fun to have a go. Snapfish were kind enough to let me try out their service for free and here are the results! What a great way to spread a little happiness with your own artwork! What do you think? So I used some of my photographs of my art to make some really bespoke items to give as little gifts to close friends and family. 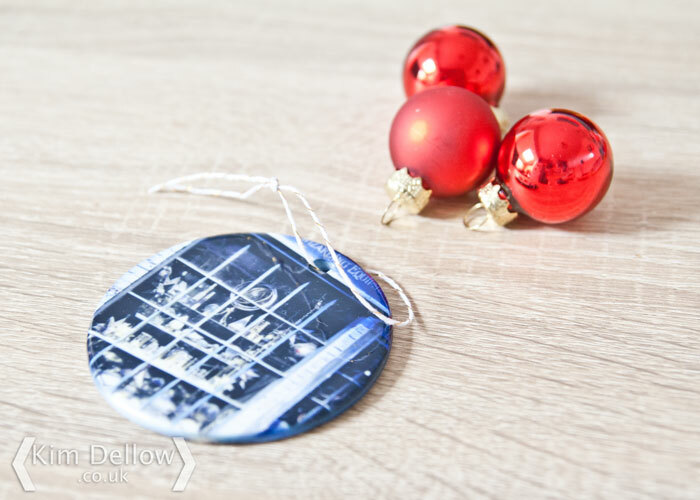 You can pick all sorts of items to make with your photos and if you are super stuck then there is a really handy Gift Finder page, which can help you find the perfect gift to match your budget. I thought that was really useful! 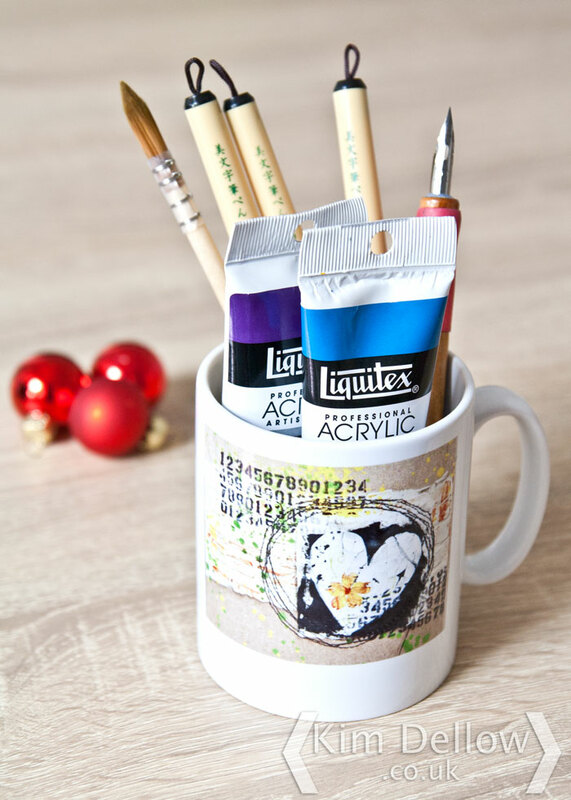 OK, so I had to go for a mug and I was thinking that it would be perfect to fill with your favourite art materials to share what you love with your arty friends. I also tried the larger photo sizes too as these make quite nice visual inspirations to share with arty friends or even maybe get a Christmas art swap going to fill your art bank ready for the New Year. 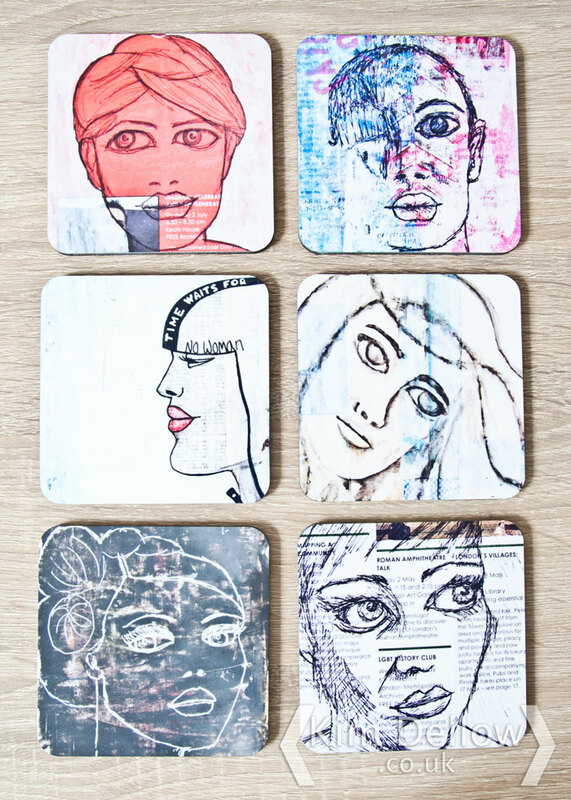 Perhaps my favourite arty gift idea is to make up some coasters with your own artwork and I know that many of you have been joining me in my community face art share Show Your Face on Fridays, well I picked six of my favourite pieces so far this year and made a face themed coaster set. I’m thinking I might need to make a second set of these as I’m going to have a tough time giving them away, I’m a bit fond of them. So that is the down side of using your own art, you might want to keep all the presents! Being big Harry Potter fans in this household, I could not resist getting a little ceramic decoration for our tree this year using one of our Harry Potter photos. That gift we will be keeping! It is fun seeing your own art in different ways, have you tried it? Do you think you would? 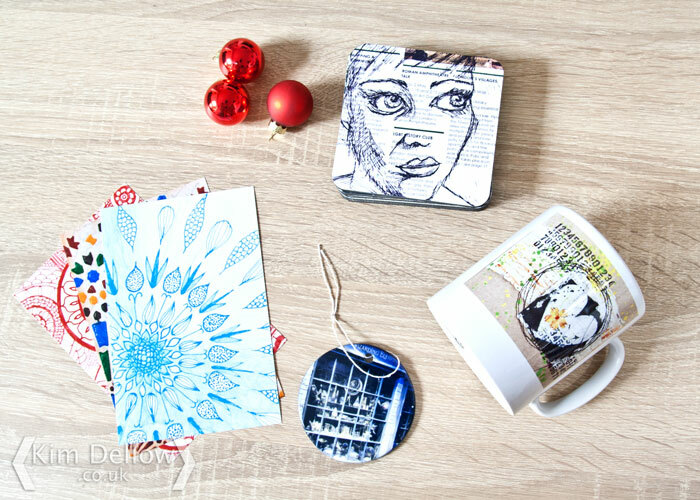 If you could get one gift made with a photo of your artwork what would it be and for whom?